USD is staying neutral at the moment however the Fed meeting might support this pair. AUDUSD had a sharp rise today. The support rests at 0.74780 with resistance at 0.75510 which both lines are located above and below the weekly pivot point at 0.75030. The EMA of 10 is meeting the EMA of 100 below the pivot point. The RSI has already reached the overbought area and the MACD indicator is in neutral zone. 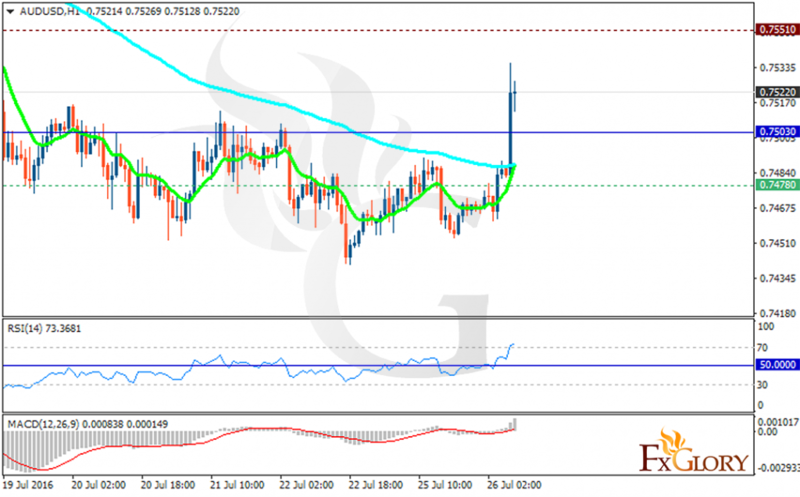 The pair would not go higher therefore short positions are recommended with the target at 0.7500.